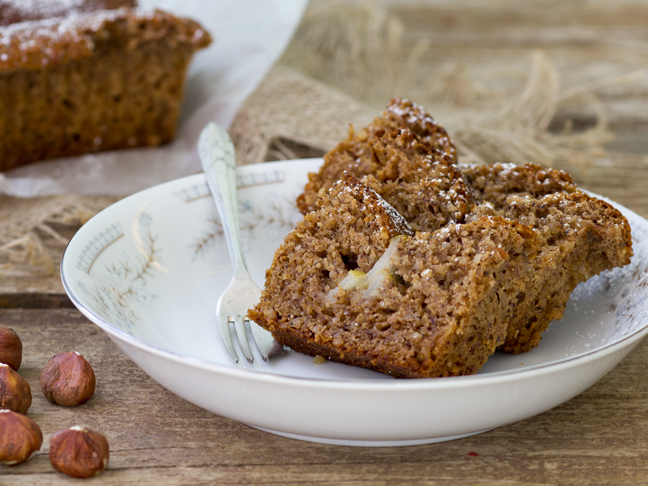 This versatile pear and hazelnut cake recipe is filled with nutritious ingredients, and is quick and easy to prepare. Serve it to your family as an after-dinner treat, or as an on-the-go breakfast cake. 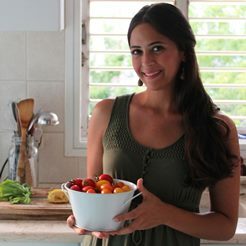 Yummy enough for dessert, healthy enough for breakfast! Step 2 : Lightly toast hazelnuts. 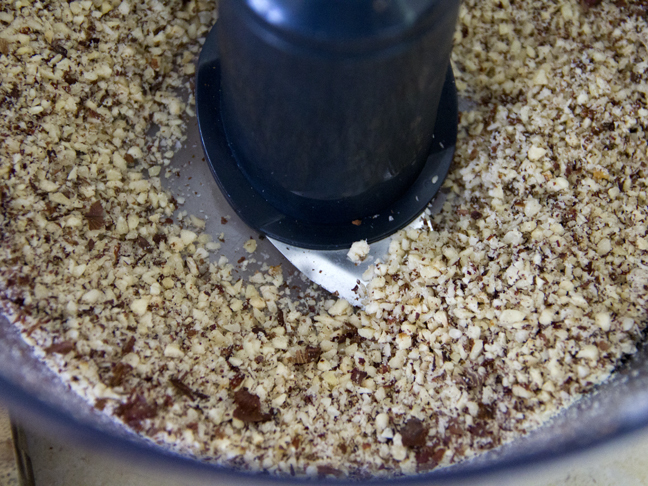 Using a food processor, crush into meal. Step 3: Whisk hazelnut meal, spelt flour, baking powder, cinnamon, whole spice, cloves, and salt together in large bowl. Step 4: In a small bowl, whisk buttermilk, eggs, honey, melted butter, vanilla extract, lemon zest, and minced ginger together. 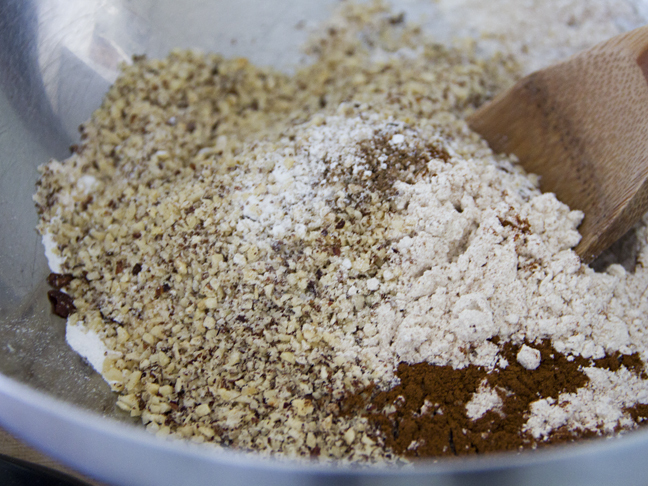 Add whisked wet ingredients to the dry-ingredient bowl. Whisk until combined (don't overwork the batter). Step 5: Pour smooth batter into a lightly greased 9x5 loaf pan. Gently place pear slices on the top of the batter, leaving a little bit exposed. Sprinkle with brown sugar, and bake for about 50 minutes. 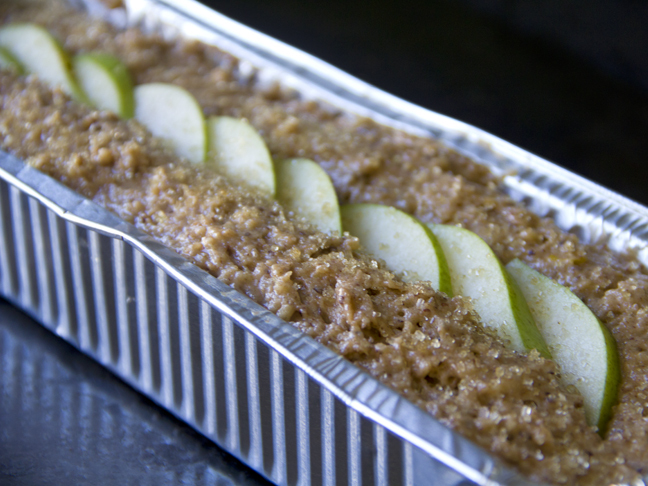 Allow to cool before slicing and serving.